Matt Ketchum wanted to be an architect. But at age 13, he didn’t take his jones for design to drafting paper, he went the adhesive paper and clippers route. He ditched a high school diploma for a barber’s license and now travels the globe slicing for Eminem, moonlighting with the Barber Authority and cutting on the daily for Sim’s Barbershop. That ingenuity is what landed MK on Team GIBs. Let’s meet him. Describe yourself in five words: Dad. Barber stylist. Hair artist. Loyal. Diverse. 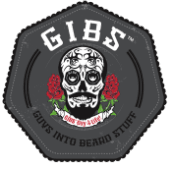 You’re on Team GIBS! What's your secret to success? I'm committed to my craft and making sure everyone in my chair looks the best they can because I enjoy what I do. They are my walking billboard and make sure my kids are well educated and fed every day. What are you known for? Being a great father and one of the best barbers in the Berkshires. I’m known for my hair art and beard sculpting, and being committed to my schedule and patrons for 15 plus years. What do you want us to know about you? When I was a young boy, my mom stopped bringing me to the salon because my sideburns were uneven. So I had to start cutting my own hair at 13 years old. Then I would cut my two brothers’ hair; they were considered my guinea pigs. I would use adhesive paper and cut out a design and stick it to the back of my head and shave it out. The people on the school bus would think it was cool, so I’d cut their hair. Once I cut hair in a Burger King bathroom. It was a NY Giants logo. Favorite GIBS combo? Hitman / Alpha Male / Black Kodiak. Spray the beard with Hitman, blow dry it out and sculpt the beard. Then apply Alpha Male with Black Kodiak… it will win with your date every time! Tips for those coming up in the game? Stay educated and treat people with respect. Make sure you shake everyone's hand and all you really have to do is open the door... it's really that simple. What’s it like landing Team GIBS? I love how diverse the team is... as well as the talent... a really heavily built squad! 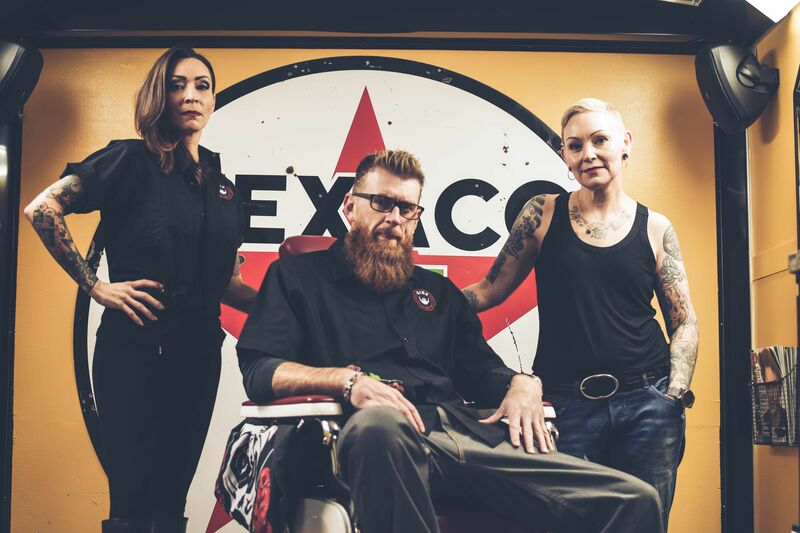 So what makes a great barber? Knowing all styles and being able to turn consultation into life ..and being present...bottom line! We gotta know more: I love doing what I do... I never expected a pair of clippers to take me around the world. Thank God I followed a friend to barber school. I wasn't really focused my first 10 years but now it's my all, it's my life. I'm cutting hair for artists like Eminem, Royce Da 59, Killer Mike, Dave Matthews just to name a few... I'm a father of three, sometimes I do a little DJing and I like to play basketball with my kids. Follow Matt on Instagram @mrrazorsharp413.